Congratulations to Robert, winner of yesterday's Person-of-Mystery contest! He correctly identified Jack Harrison from the city of Hull in England. 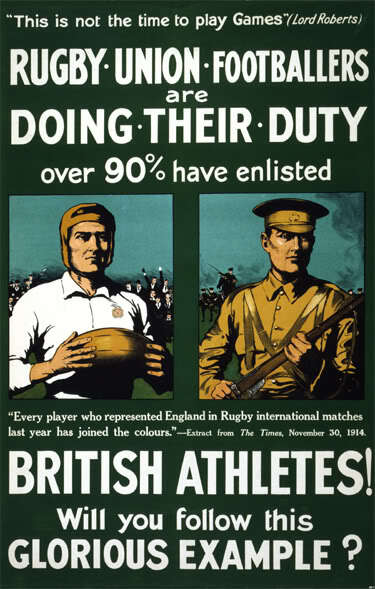 By occupation he was a school teacher in Hull, but Jack was best known as being a masterful rugby player. 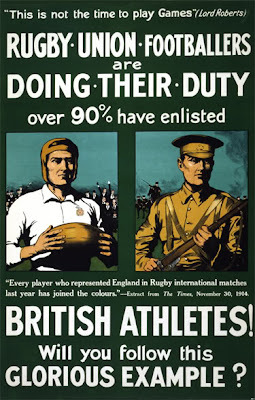 He played four seasons with Hull FC (also known as the "black and whites") where he still holds the record for the most tries (akin to touchdowns in American football), 52 in the 1913/1914 season. 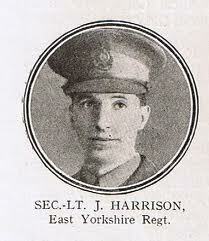 In 1915, Harrison joined the military and trained as an officer. The following year, he was commissioned as a 2nd Lieutenant of the 6th Platoon, 11th Battalion. In late March of 1917, he was awarded the Military Cross (Britain's third highest award) for leading his platoon through No Man's Land, reaching his objective and capturing a prisoner. Just a little over a month later on May 3, 1917, at the Battle of Oppy Wood, near Arras in Northern France, Harrison again demonstrated extreme gallantry under fire when his platoon, which had been twice repulsed, was pinned down a third time between the trenches by heavy machine gun fire. Realizing that everyone would die unless action was taken, Harrison singlehandedly charged across an open field and reaching the machine gun emplacement, silenced it with a grenade. Sadly, he was never seen again, nor was his body recovered after the battle. For this action, his widow Lilian was presented his Victoria Cross (Britain's highest honor) by King George V at Buckingham Palace. Jack's only son, Jack, Jr., was later killed in the defense of Dunkirk in World War II. 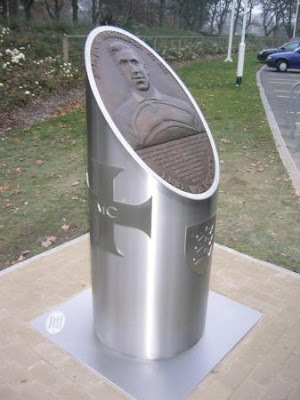 In late 2003, a memorial was erected outside the stadium where Hull FC plays honoring Jack Harrison. It was nice to learn about Jack Harrison, but I could have sworn he was related to you. Are you sure he isn't? Interesting story. One of the best things I've ever done was tour the Ypres battle field with a guide. Saw many, many sights in that critical area of the front, but one of the best things was going into an undisturbed underground redoubt. A brick company had dug for clay and uncovered a British trench & subterranean chambers. It had been abandoned & covered over after the war & was completely undisturbed.